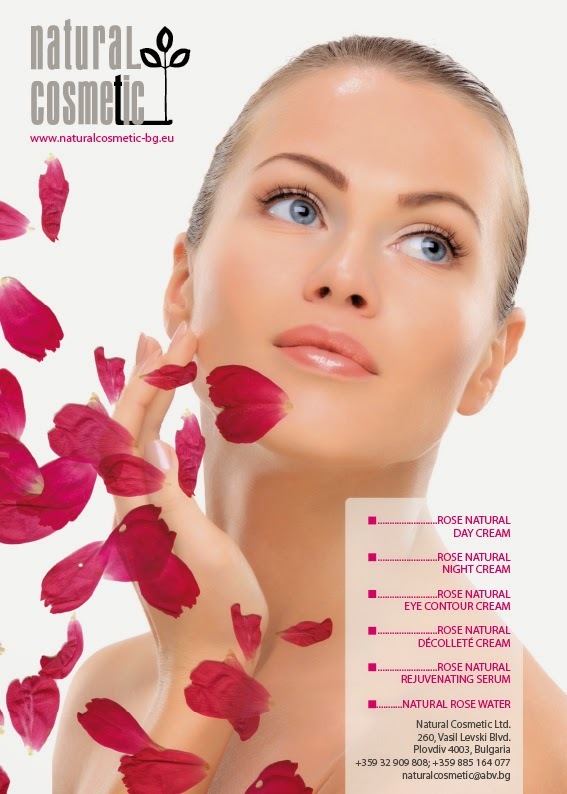 Rosa Pretiosa - organic skin care line by Natural Cosmetic. The rich properties of the harmonising and revitalising Bulgarian Rose are composed into luxurious facial creams for all skin types. The unique products contain pure, specially selected bio-certified by ECOCERT organic ingredients - precious Bulgarian Rose oil, Argan oil, Pomegranate Seed Oil, Tamanu oil, Baobab Seed Oil and Tahitian Gardenia Oil. They go beyond improving the physical appearance – they regenerate, nourish and protect, offer more natural lifestyle. Restore the skin’s natural rhythm. The result: a refined, rejuvenated and harmonious complexion. Regenerating day cream with intensive moisturizing properties . The rich, luxurious composition contains selected organic oils. They rejuvenate and protect the skin from aging, which results in improved tone and elasticity. Restores the skin’s natural glow and makes it look radiant and fresh. An excellent base for make-up. Nourishing and moisturizing intense night cream with rich texture . The luxurious blend of organic oils rejuvenates the skin, reactivates its cell production and protects it from aging. The night cream revitalizes and firms the skin, resulting in improved tone and elasticity. Makes the skin look soft and radiant. Regenerating and firming eye contour cream. The rich, luxurious composition contains a blend of organic oils. This pampering, soft cream helps to firm the skin and smooth out wrinkles. Prevents dark circles, puffiness and signs of fatigue. Phytosterols and antioxidants stimulate the cell renewal. Immediate visible results. РRegenerating and nourishing intensive cream for décolleté and neck. Effectively protects the skin from the harmful, ageing impacts of the environment. This soft, rich formula contains organic oils. The Cream restructures the skin, reduces wrinkles and prevents the formation of new ones. “Wakes up” the skin and gives velvet softness and freshness. "Rosa Pretiosa" by Natural Cosmetic – rose-scented poetry! Why BioRhythm shower gel is so special! Make Up By Zara: Natural Cosmetics “ROSA PRETIOSA” NATURAL EYE CONTOUR CREAM Review! Natural Cosmetic Ltd.. Powered by Blogger.